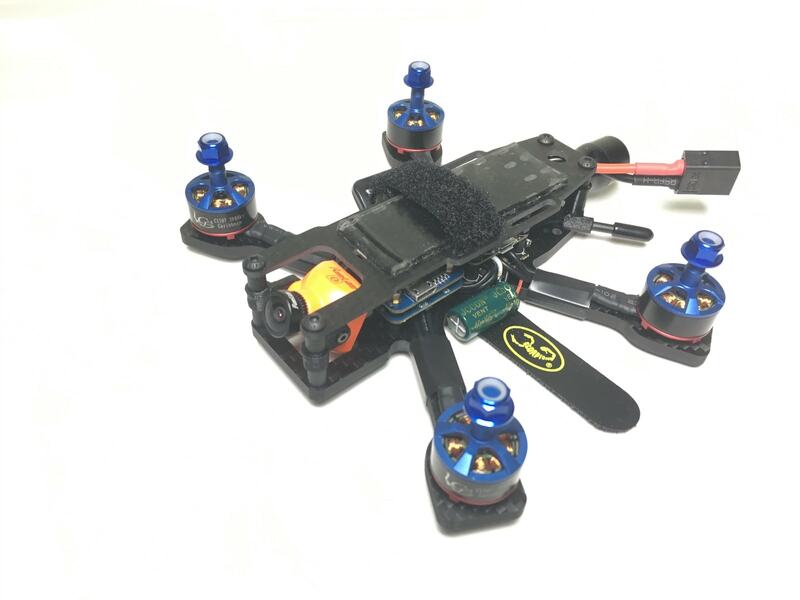 The BQE 3AF is a 3″ freestyle frame designed for 1407/1507 motors and 3 inch props. 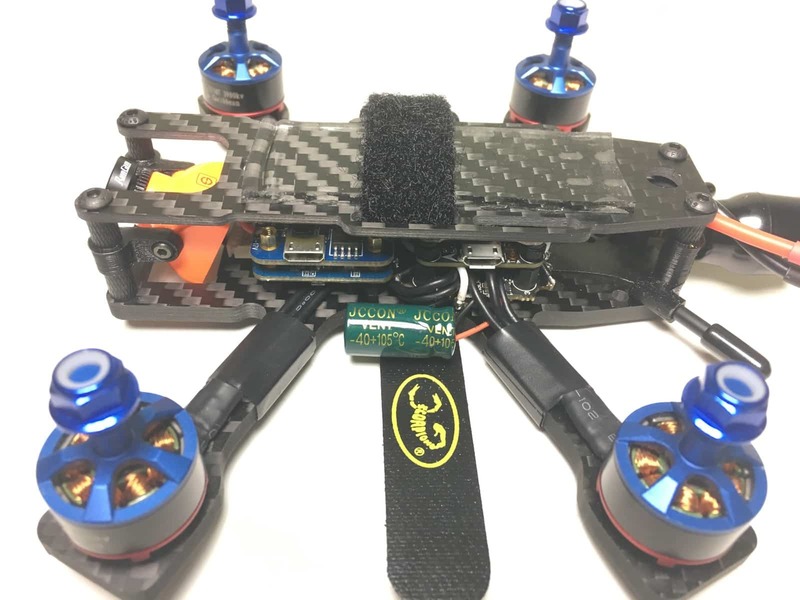 The first 3″ mini quad with multiple flight control stack positions, allowing you the flexibility to build with 2 stacks. This is awesome for integrating Runcam Split Mini, or building a super slammed 3″. 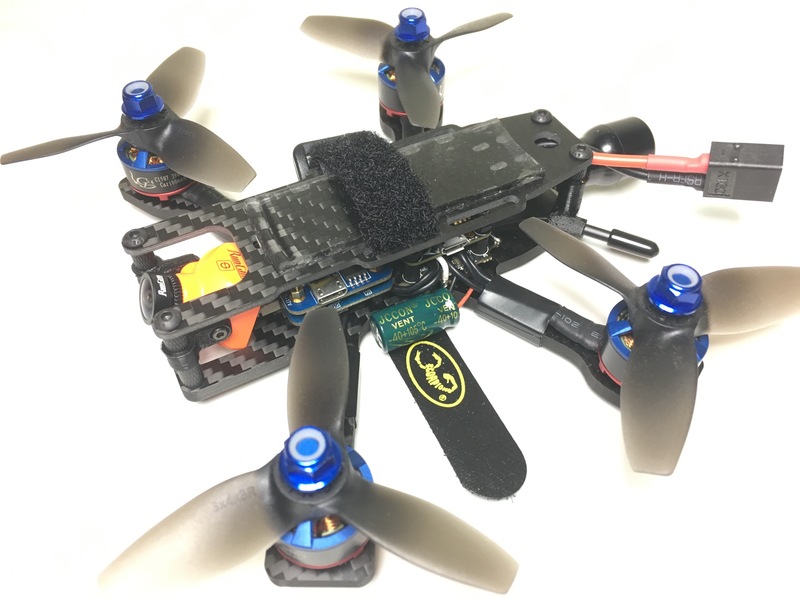 Designed for 3″ props on 1407/1507 motors. Traditional freestyle H frame configuration. Beefy 4mm T700 Toray carbon main plate. Dual 20×20 FC mounting positions. Tons of room to build. 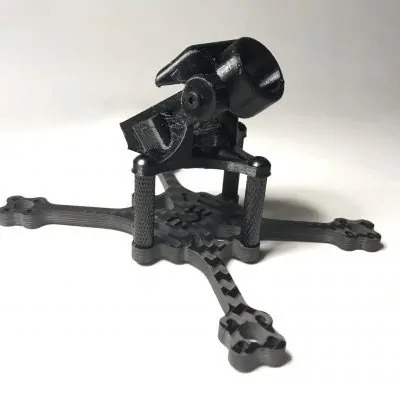 This is top mount freestyle H frame for 1407/1507 motors and 3″ props. 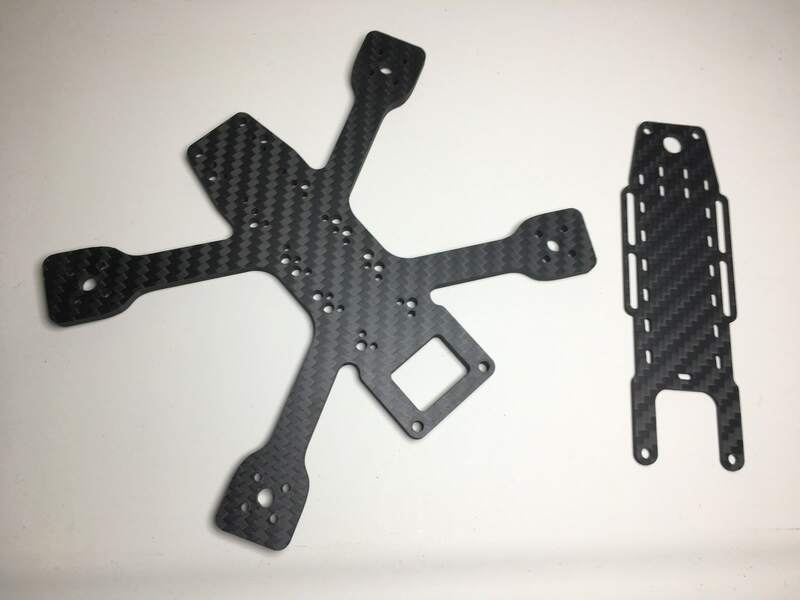 The BQE 3AF has unibody 4mm t7 Toray carbon fiber baseplate and a 2mm 3k top plate. This is designed for 20×20 FC stacks such as the PikoBLX or HGLRC XJB F440 towers. The included TPU camera mount is designed for micro size cameras such as Runcam Split Mini or Foxeer Micro Predator. Want to print your own TPU parts? Download the STL’s from Thingiverse. What a frame! Clearly a lot of thought went in to the design of this frame and maximising usable space while still protecting components. 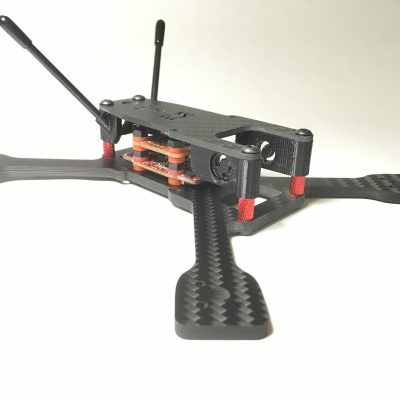 I mainly build micros, 2 to 3″ and have been searching forever for a *quality* 3″ freestyle frame. The closest I found was by another awesome company, but the alumi frame just left no room for parts. The 2 or 3 (if you go 16mm O_O ) stack setup is genius, even large 4 in 1’s like an ORI32 fit with ease leaving room for a real VTX and a split. 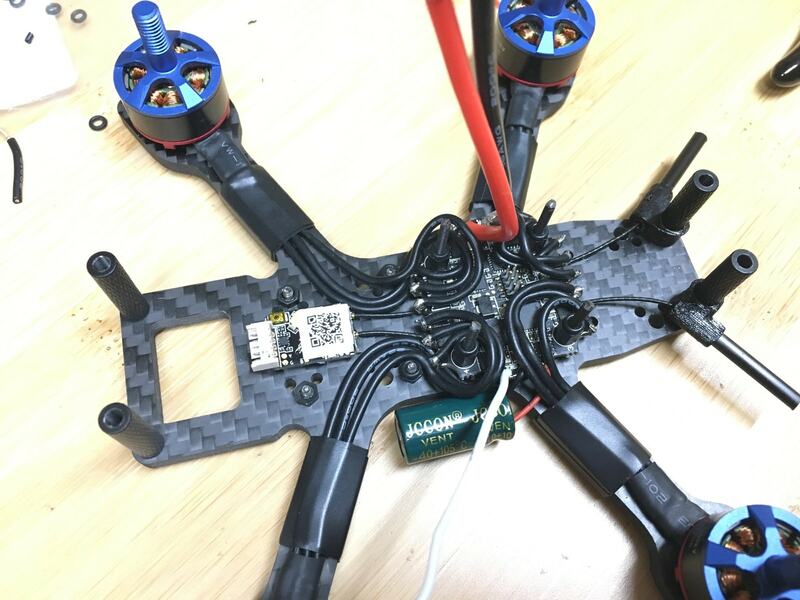 I can imagine small ESCs would fit on the arms as well. 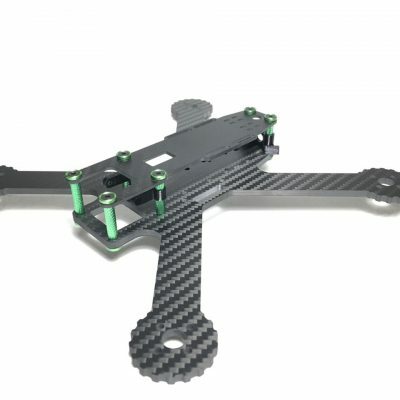 The carbon is super high quality and the 4mm main plate inspires confidence, I have not encountered a micro with this sort of crazy stiffness. 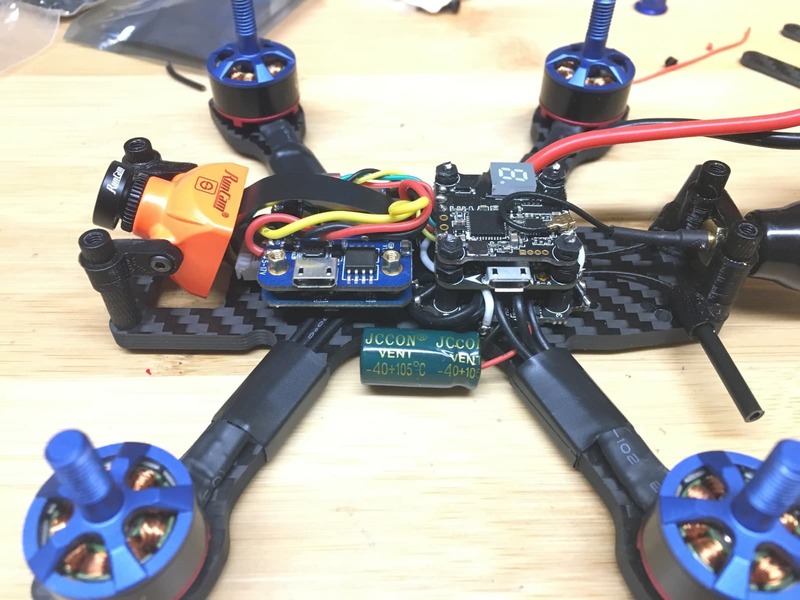 I say micro… It is a chunky lil guy though, my build came to 218g (without battery). I was expecting it to be a little sluggish but was surprised at just how nimble it is, while having a sense of inertia most of my 3″ quads miss which is perfect for freestyle floopin. Sweet freestyle tank frame! Love it!